Winter has finally arrived in Germany. So, snow and icy coldness all around. I really miss riding my bike, and public transport is way too expensive! I think I will have to go cross country skiing soon - it is hard to see the beauty of winter when you are surrounded only by brownish smudge torn up by cars. But in the mountains, surrounded by stillness and glittering whiteness - wonderful! In my home, I am ready to let springtime slowly announce itself. The longer I live in my apartment, the more I notice that I am missing space to just put up some decor - my table is tiny, my window ledge very slim, my lovely striped dresser (which I revealed in my last post) has to hold my TV. 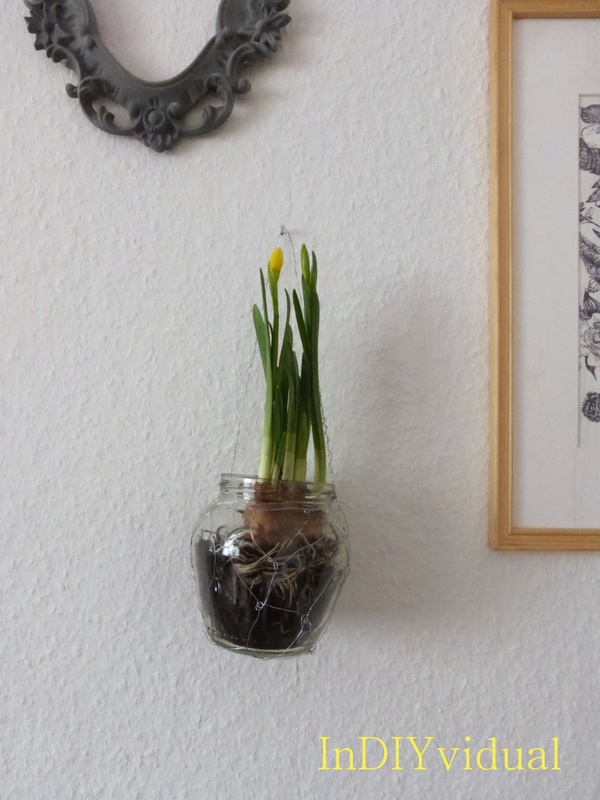 So I decided the daffodils I bought should go onto the wall. But how? I chose to use an jar that held the most awesome cinnamon spiced peaches. That gave me a wonderful reason to finally eat them - I had saved them as something special for ages. Then, I used some thin wire to make a fitting piece of mesh wire myself. I think what I did is pretty much what macrame is about (I have never done that). Put your jar on top of the wire and measure how much you need to go from top to bottom to top. Take about double that length to be on the save side! 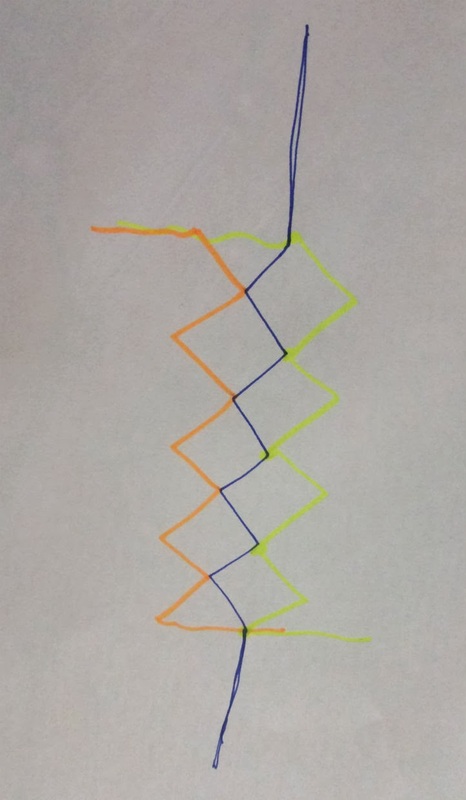 Each wire is pretty much formed into a zigzag. In each corner, you twist it together with the neighboring wire. So, a mesh is formed. I drew you an (ugly!) picture, because I thought the system can be understood better when each piece of wire is represented in a different color. First, I created a rectangle. Then I placed the jar in the middle and added wire a little haphazardly, but following the zigzag principle, until the jar was fully but tightly surrounded. That may not seem very informative, but I think this part needs to happen spontaneously according to the jar´s form. And it was really very easy to do. 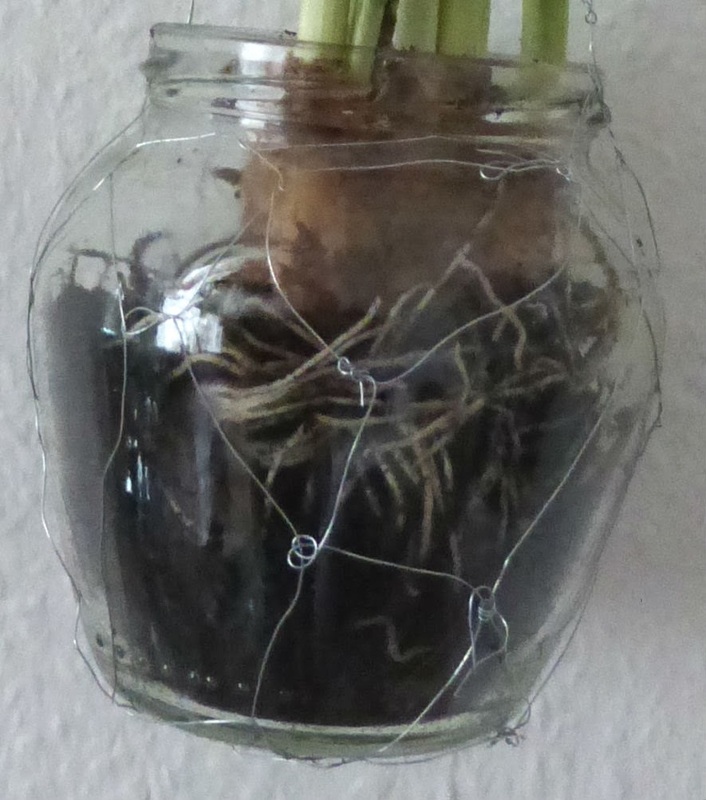 At the jar´s edge, I twisted the wire to the side so it formed a border. Four of the longer pieces of leftover wire, I twisted together to form the handle. This quickly, my hanging pot was created. 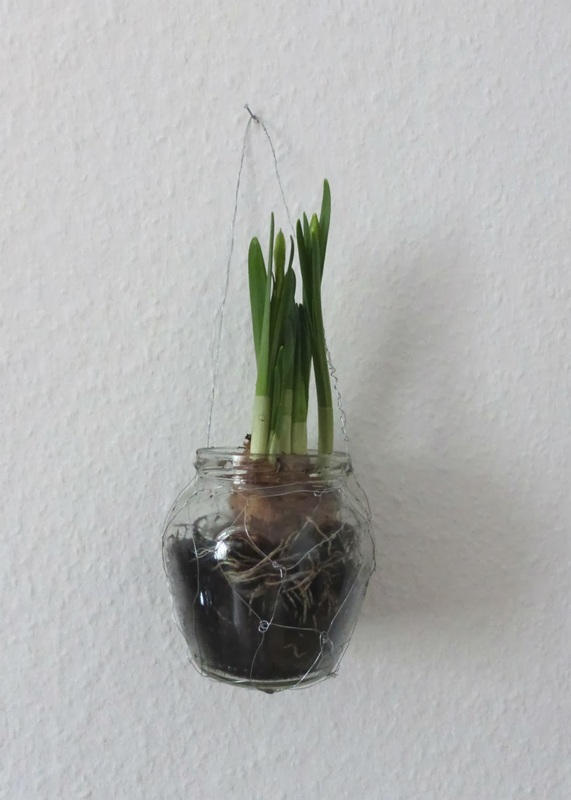 I took the daffodils out of their pot and pushed them into the jar. Trickiest part will probably be to give them enough, but not too much water. Nice job, I really like your project. I am going to copy you and give this a try. 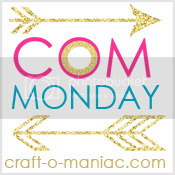 I am kind of new to your blog and I love it. Thanks for the tutorial. Pat. It´s awesome to hear you like both my flower holder & my blog! I hope now that you have found me, you will come by again soon! I come across your blog through search and found its really great with lots of informative stuff about weaving and braiding wire, i have stored this blog URL for the references purpose. You have really done the great job. Hi, that´s lovely to hear!